The Canny Man offers a canny take on a traditional wing chair, combining minimalistic style with a classic fabric, to create a luxurious retreat within a more contemporary setting. Its bold, striking contours look fabulous with your choice of Harris Tweed, framed within the simplest of oak plinths to deliver a natural symmetry. Handcrafted and finished in Scotland, The Canny Man features a hardwood frame and solid oak legs for strength, a sprung base for added comfort and a deep-filled premium-grade reflex foam cushion to prevent sagging and frequent plumping. Your choice of Harris Tweed is treated with Teflon to repel stains and fading, ensuring your Canny Man will last you a lifetime. Whether you like to snuggle in, stretch out or keep your feet firmly on the ground, the Canny Man is the ultimate comfort chair for every occasion. The Knockinaam is the epitome of style and comfort. Its deep comfortable cushions and elegant proportions make this a must have in any home. Its stylish appeal, curved lines and authentic fabric means you will enjoy every second of relaxation when in the Knockinaam. 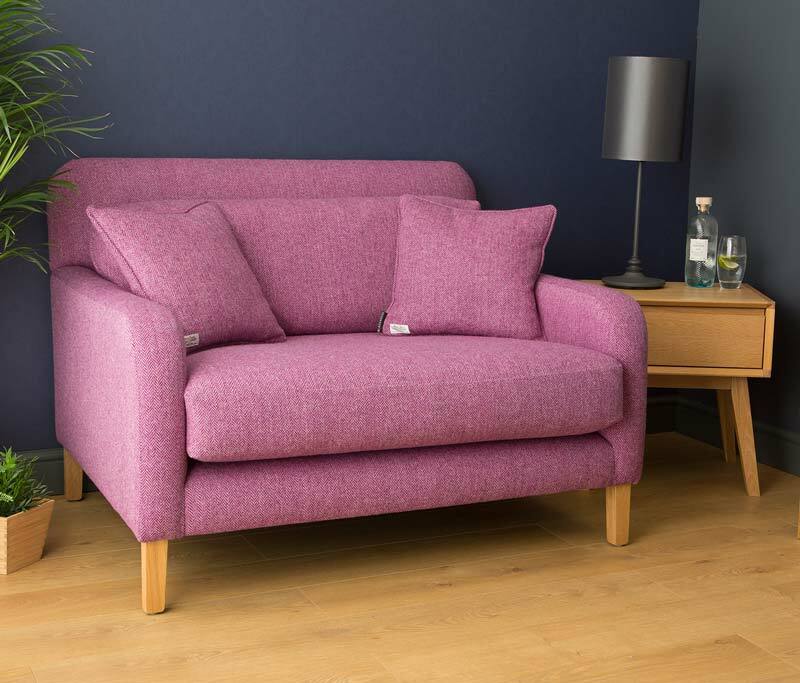 Also available as a sofa, you can tailor your Knockinaam to suit your size and style of home as well as enhancing your lifestyle for decades to come. 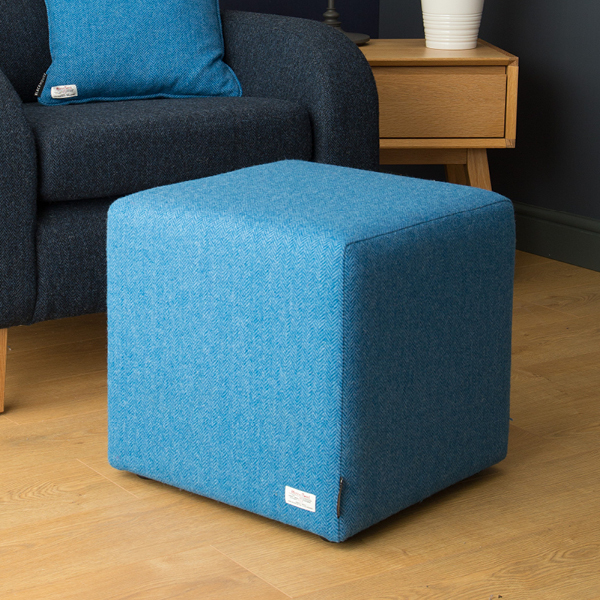 Hand finished in Scotland, The Knockinaam features a screwed and dowelled hardwood frame and solid oak plinth for strength, a sprung base for comfort, and deep-filled, premium-grade reflex foam cushions, that will retain their shape all year round. 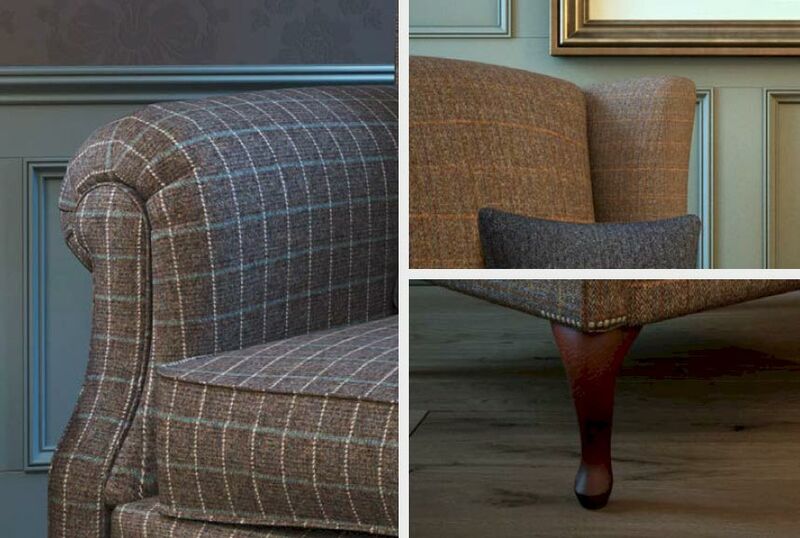 Your choice of Harris Tweed fabric is treated with Teflon® to repel stains and keep your sofa looking at its best. A timeless piece, this wing-backed armchair embodies a traditional design with a hint of contemporary creativity to present a lifetime of luxurious comfort, quality and unique style. 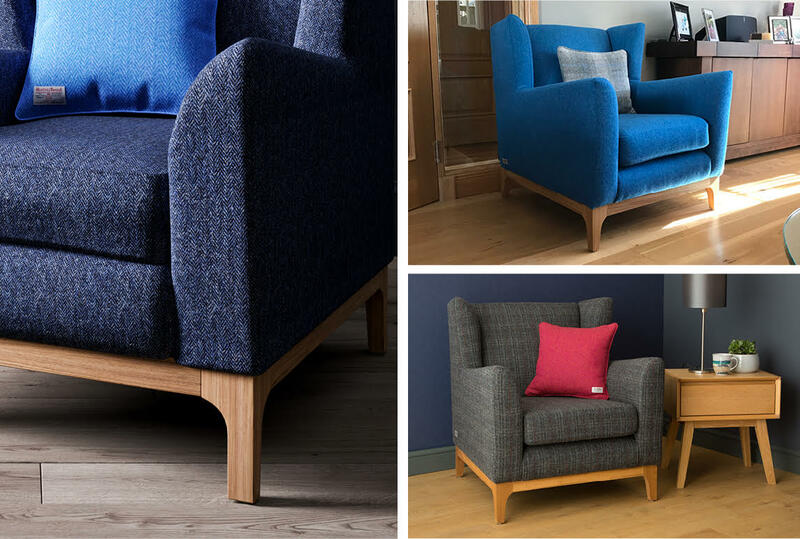 Handcrafted in Scotland using a hardwood oak frame and covered in your choice of Teflon treated genuine medium weight Harris Tweed, The Arthur will sit perfectly in your home where you relax and experience true comfort and style, for decades to come. With its clean, curved lines, deep comfortable cushions and elegant proportions, the Vattersay Chair is as happy in a bothy, as it is in an urban apartment or townhouse. 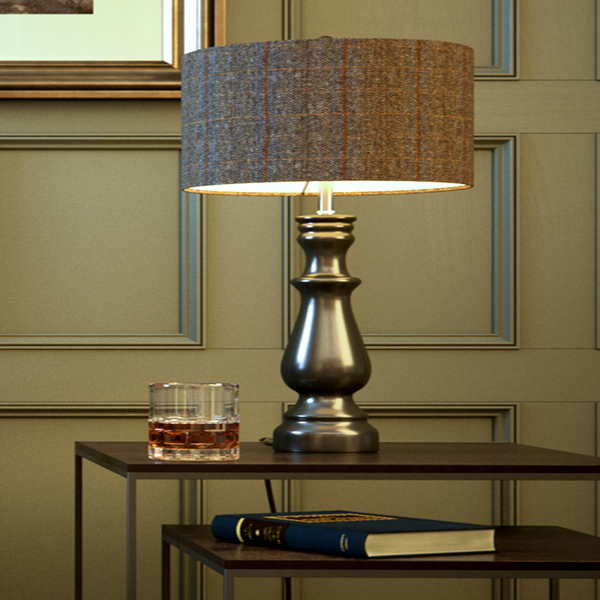 Marry it with your ideal choice of Harris Tweed and it will transform your living space. Available in four standard sizes, from a single chair to sofa, the Vattersay is a versatile yet humble chair designed to offer comfort and style for a lifetime of luxury living. This classic, clean-lined contemporary chair is designed with the ultimate comfort in mind. 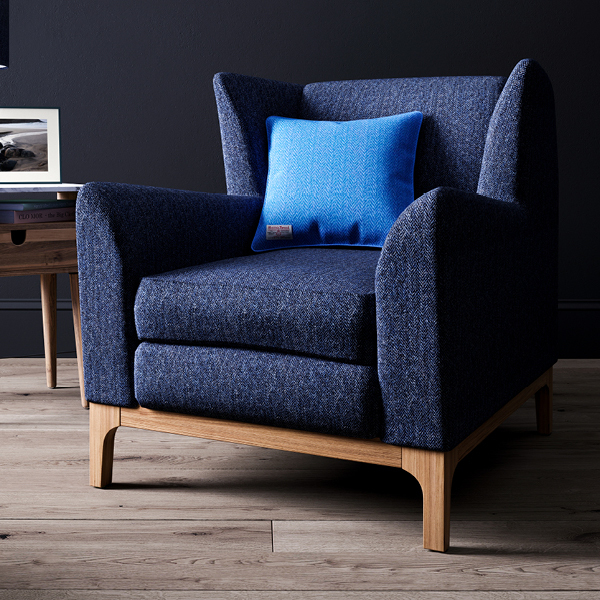 Larger in size than the standard armchair, the Waverly Snuggler not only looks fabulous in any choice of Harris Tweed, but is big enough to curl up and relax in without taking up too much floor space. With traditional Harris Tweed plaids, subtle herringbones or vibrant colour weaves to choose from, the Waverley Snuggler offers enduring comfort and style, designed with you in mind. 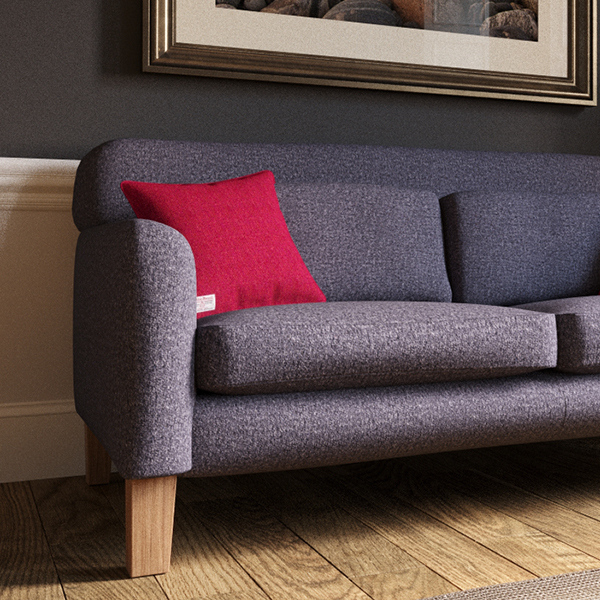 Handcrafted in Scotland, The Waverly Snuggler features a screwed and dowelled hardwood frame and solid oak plinth for strength, a sprung base for comfort, and deep-filled, premium-grade reflex foam cushions that won’t sag or require endless plumping. 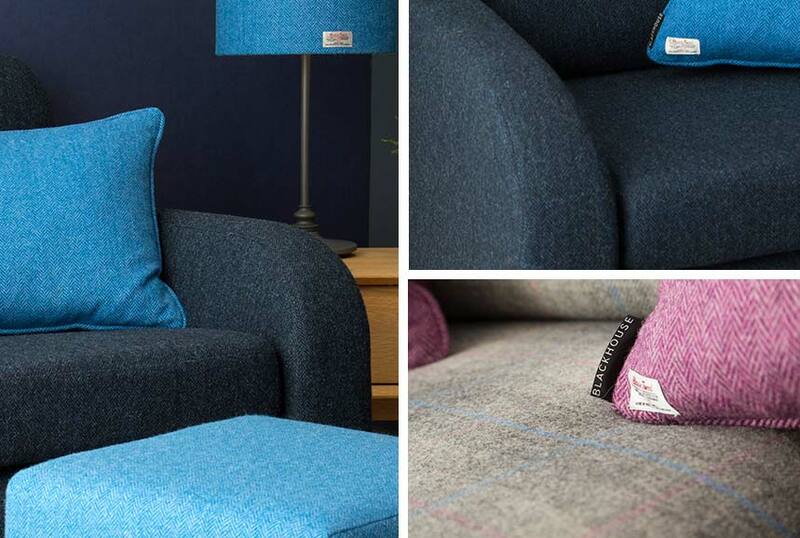 Your choice of Harris Tweed fabric is treated with Teflon® to repel stains and keep your sofa looking as good as the day you got it. 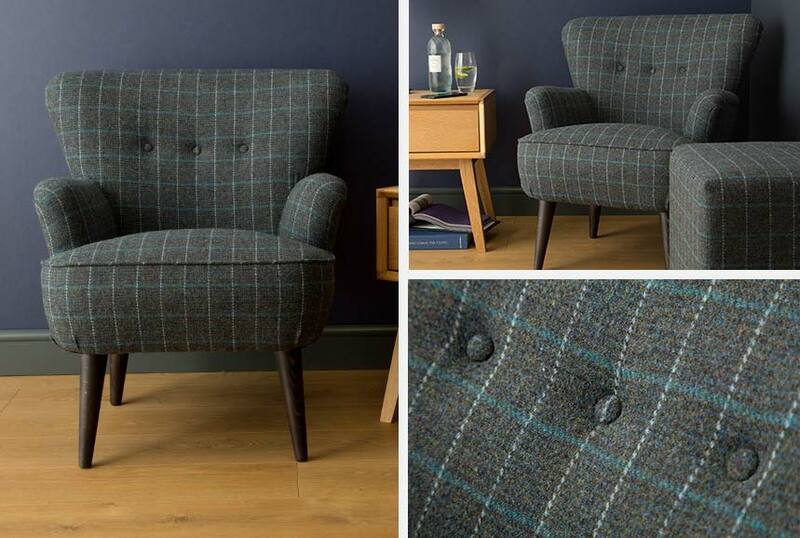 This small but perfectly formed chair oozes style and personality creating a real gem of piece. The Moir is the perfect example of clever design where comfort isn’t compromised by size. In fact, an armchair of this size doesn’t get any more comfortable. 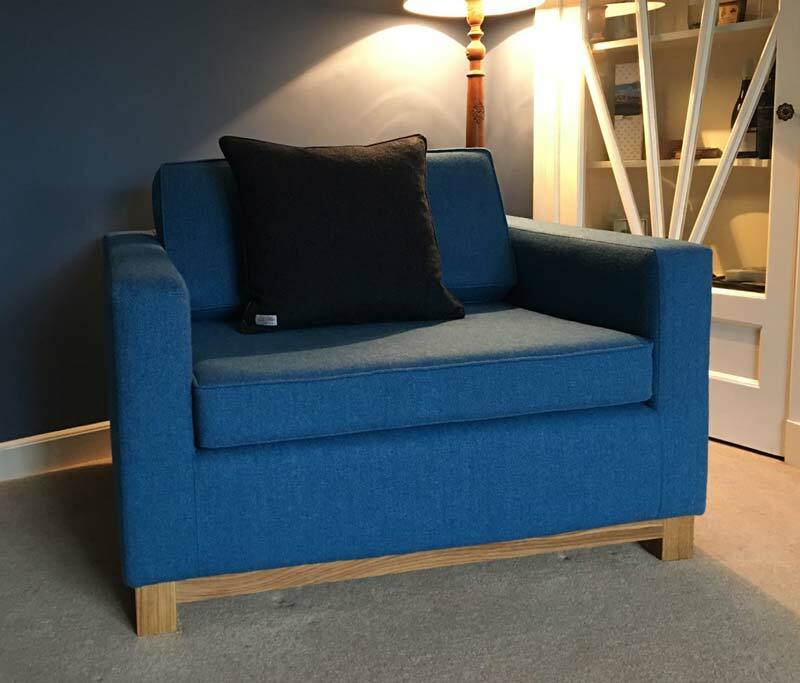 As each piece is bespoke, you can choose your leg design and colour to suit your choice of fabric and create a chair that has loads of punch but doesn’t impose on your space. This compact and unique chair measures in at 710 Wide, 710 Deep and 780 High making it a versatile choice for any space. At £1,495 you can enjoy a lifetime of comfort and style.